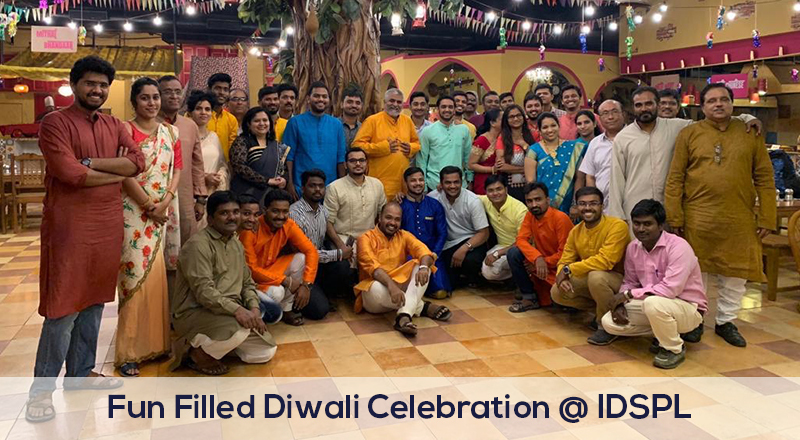 Here’s the glimpse of the Diwali Celebration @IDSPL. During the Event, Employees were rewarded for the “Best Performance” for this year. Enthusiasm and liveliness of employees made this event spectacular and memorable. IDSPL Family wishes everyone “A Very Happy & Safe Diwali “.